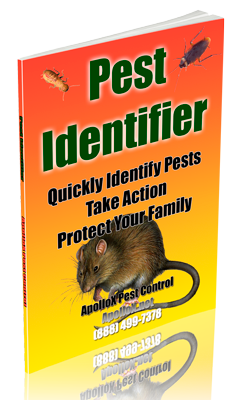 ApolloX Pest Control will remove brown recluse spiders from your home quickly, efficiently, and safely. These spiders are chocolate brown in color. Their bodies are about 9 millimeters in length with long legs. They have three pairs of eyes, arranged in a triad, and have a violin-shaped marking on the cephalothorax. The body of the “violin” is near the eyes and the neck of the “violin” extends backward, ending before the abdomen. Males are similar to females in appearance. The brown recluse prefers nesting sites that are warm and dry. 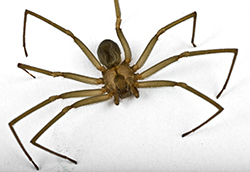 Brown Recluse Spiders have the ability of hiding in the darkest and smallest places of your home. They like cracks, corners, curtains or inside the furniture. They can even be found trapped in the shower or bath tub due to the smooth surface. 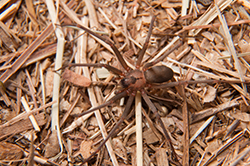 Outside in your yard, brown recluse spiders prefer to inhabit gaps under rocks, boards, and the bark of dead trees and logs. The Brown Recluse Spider has nocturnal habits. They are attracted to the moths and insects that can be found hovering around artificial light. This is what usually brings them into your home. 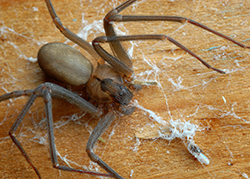 The bite of the brown recluse spider is often not immediately painful, although a slight stinging sensation may be felt. This spider’s venom includes a neurotoxic component, but the principal concern is its necrotic or cytotoxic properties, which cause it to destroy the tissue where it is injected. About seven hours after a bite, a small blister-like sore appears that will grow in size. There may be a generalized or systemic body reaction in sensitive individuals. The amount of damage depends on the amount of venom injected. The damaged area may be the size of a dime or as large as 20 centimeters in diameter. Affected tissue becomes gangrenous, turns black, and eventually sloughs off, leaving a depression in the skin. Healing is slow and scar tissue results from the wound. Healing may take 6-8 weeks or require up to a year if the wound is large. 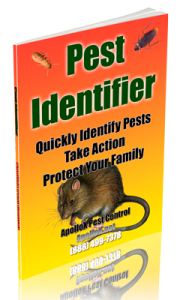 Call ApolloX Pest Control for brown recluse spider pest control in the Fairfield County CT towns of Fairfield, Black Rock, Bridgeport, Cos Cob, Darien, Easton, Greenfield Hill, Greenwich, New Canaan, Noroton, North Stamford, Norwalk, Old Greenwich, Redding (lower), Ridgefield (lower), Riverside, Rowayton, Shelton, Southport, Stamford, Stratford, Trumbull, Weston, Westport & Wilton.